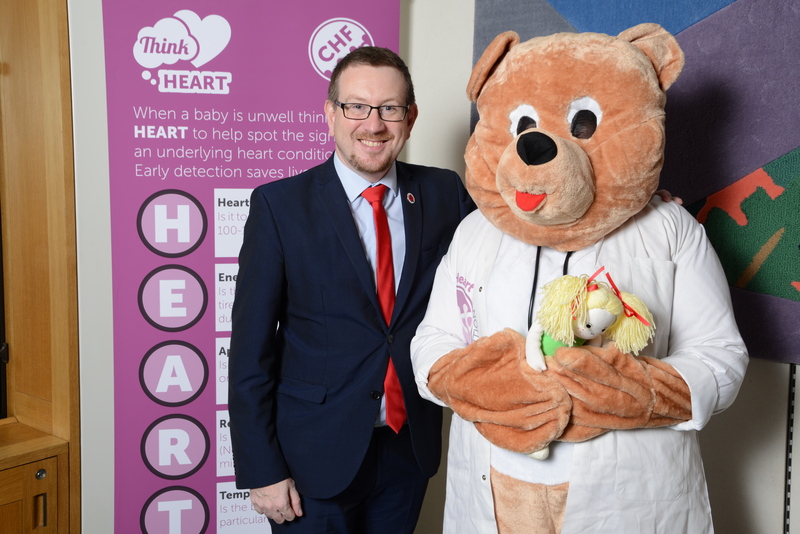 Denton and Reddish MP, Andrew Gwynne, has expressed his support for the Think Heart Campaign, which is seeking to introduce pulse oximetry screening for all newborn babies in the UK. The test, measuring the oxygen levels in the blood, is proven to be effective in detecting three quarters of congenital heart conditions. Congenital Heart Disease (CHD) is one of the most common birth defects in the UK with thousands of babies born with a heart problem each year and hundreds of children developing a heart condition at some point after birth. The test itself is non-invasive, takes just a few minutes and can be done along-side existing newborn checks. Research shows comprehensively that pulse oximetry testing can greatly increase detection rates to around three-quarters*. This prevents the distress, harm and risk to life that occurs when conditions go undetected for days, weeks or even months. Newborn babies already have a number of tests as part of their screening after birth; today a number of hospitals are leading the way and using it, but the campaign aims to get every part of the country and every hospital covered.